The most glorious day of the week – okay – maybe that’s too much? Honestly I think that’s probably Saturday because you can sleep late and I’ve never been one to say no to sleeping in. Lest I ramble on the glories of sleeping in…onward to Five on Friday! One. Watson Wednesday – Whoops; talk about completely failing. I never got around to posting a precious picture of my favorite pup on Wednesday as has become my blog ritual. I was so busy all day on Wednesday…doing my actual job…which is; I suppose, not failing…but by the time I got home, had supper and then whiled away the evening – it complete slipped my mind. 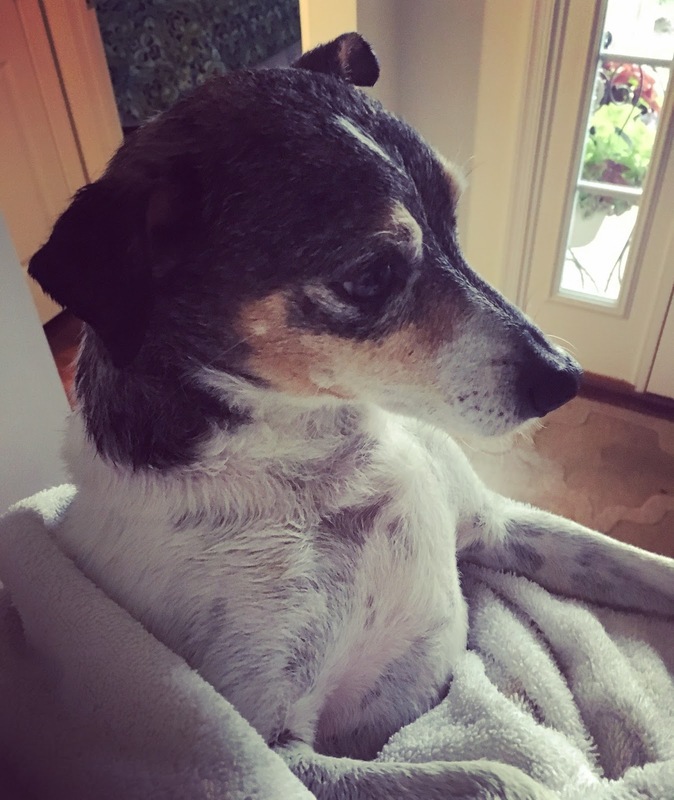 So – without further ado, my sweet pup! Two. This Dress – I’ve raved more than once about Stitch Fix and my abiding love for the service and that love has not abated with this month’s Fix! I’ll detail the entire fix in another post next week but right now I’ve just got to share this dress! The colors aren’t great in the shot I’m sharing (I’ll do better next week) but it’s the best shade of orange with gorgeous purple and teal floral patterning, it’s the perfect length and fits like it was made for me. Plus – great for summer but will transition to fall as well! I’m in love! Three. Game of Thrones – As always when GoT returns to my television screen, I’m completely sucked into the world of Westeros! I saw this great mug on the HBO Shop and loved how it resembled all the Starbucks “places” mugs…and so I had to grab one! I got 10% for signing up for the HBO Shop email list and now I’m happily sipping my morning coffee from my Winterfell mug….or my Braavos mug; because I also got one of those! Four. Nationals Baseball – It’s been a good week in Nationals baseball; four games played this week (so far) and the Nationals got the W in three of the four! Whether it was because of Rufus the Rally Pigeon or in honor of Max Scherzer’s is still up for debate but Thursday’s game was an absolute blast. The Nationals bested the Brewers 15-2 and in the third inning they hit four home runs in a row – that’s right – back to back to back to back – blasting the ball out of the park; and becoming the first MLB team to hit four home runs in a row since 2010. I’ll be spending some time at Nationals Park this weekend and while I’d love to see something on that level…I suppose as long as it’s a win, that would work too! Five. Weekend Agenda – Speaking of ye old Nationals Park…but wait; I’m getting ahead of myself. Not 100% sure what’s on the agenda for my Friday night; I need to strap myself to the elliptical and really commit to a work out..we’ll see how that plays out! 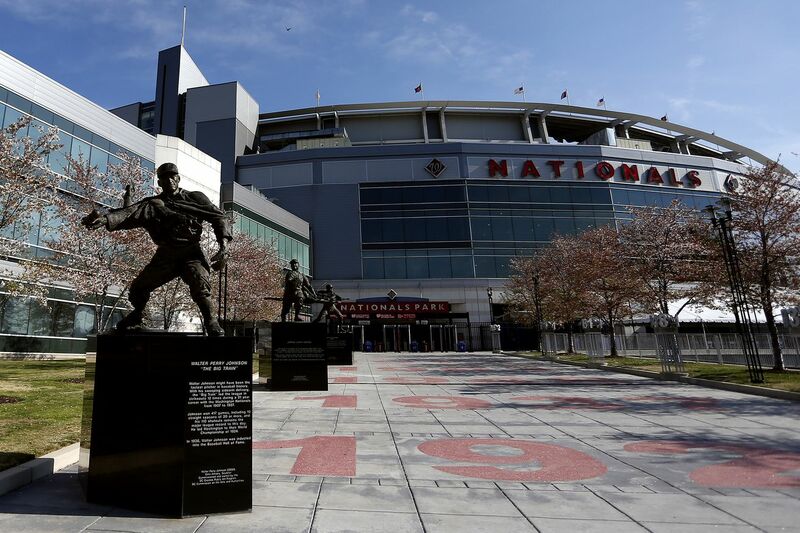 Saturday will include my very favorite sleeping in and sipping coffee and then it’s off to Nationals Park for an evening match-up with the Colorado Rockies – fingers crossed the rain will have passed through by the time the game starts at 7:05! Sunday will be church and of course; a new episode of Game of Thrones…with some sort of form of whiling way the afternoon in between the two! I do love the weekend – and I can’t wait to for it to get underway! Remember a couple months ago when I lost my mind a little bit and jumped ship back to my old blog? Well…I’m losing my mind a little bit more and coming back to roost here. I hesitated because perhaps I shouldn’t really jump around so much, but then again – it’s my blog…and you’re just reading it…right? 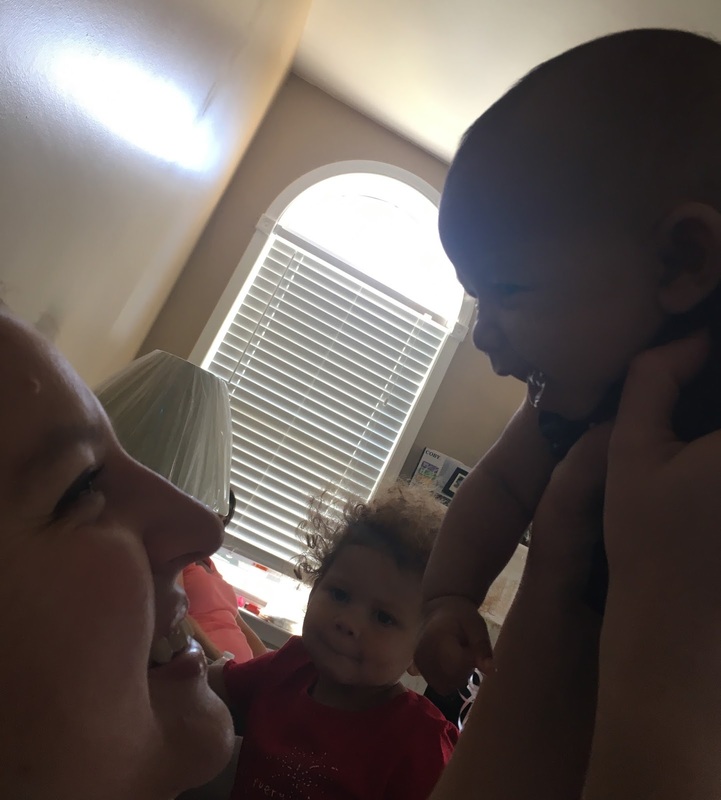 I’ve long been doing recaps and I’ve tried to put an entire week’s worth into a post – but I have realized that I honestly; on a week to week basis, don’t actually do very much during the week! Essentially, the case could be made that some weekends I don’t do very much either – but oh well. So – from here on out, I’ll share my wonderful weekend adventures and if anything out of the ordinary happens during the week – I’ll likely include it! Like these gorgeous pictures from last week – Tuesday night in particular. The weather over the past week has been pretty typical Summer fare; really warm and humid days that build to extravagant thunderstorms in the afternoon and evening, on repeat each and every day! Tuesday evening the clouds put on a show as a storm was moving through and I snapped picture after picture while sitting on the deck and watching the clouds and lightning flash color and blaze across the sky! 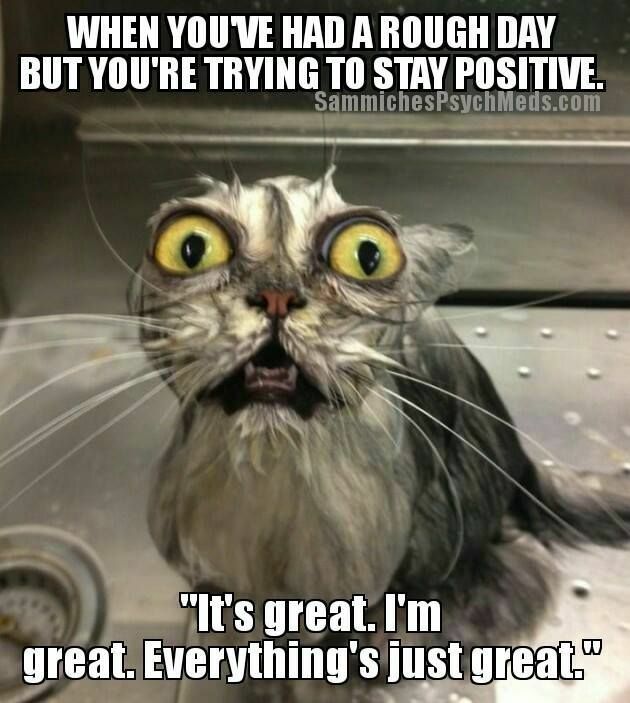 Friday was a rocky day at the office – nothing worth worrying over and honestly; not because of anything involving me, just a long and crazy day! 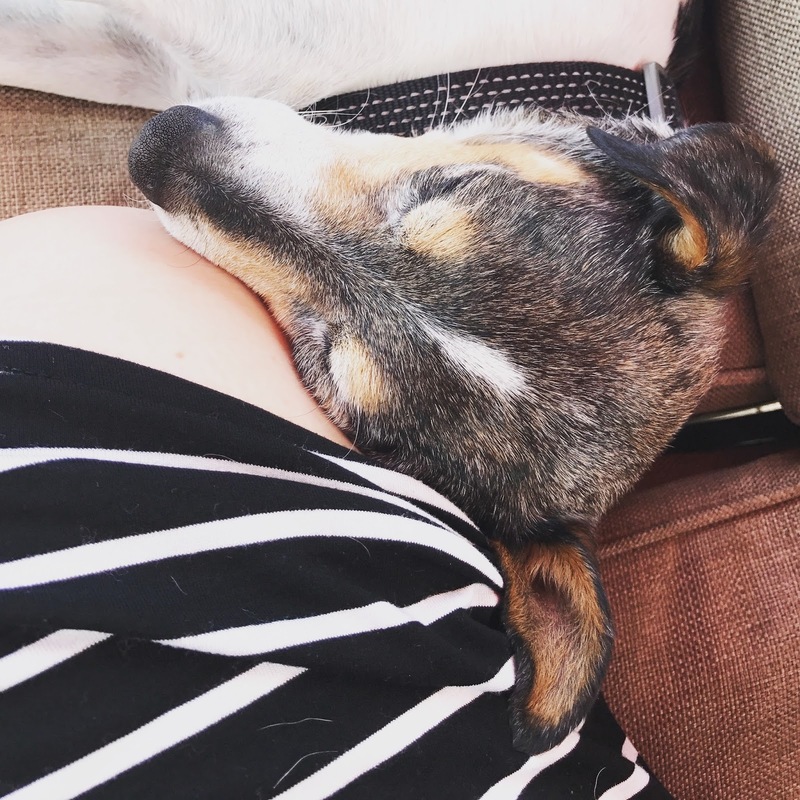 When I got home from work on Friday, I really didn’t want to do much more than be a complete bum – and so that’s what I did! I watched a couple episodes of The Unbreakable Kimmy Schmidt, read a bit and just passed some time lying on the deck. A complete bum – loved every minute. Saturday I wasn’t even able to do one of my favorite things – sleep late! However I did sip my beloved coffee before crushing an hour on the elliptical; it was nice to be done with exercise before 11:00 AM! I did a little wrestling with the outdoor furniture cover in the midst of a downpour, watched a couple episodes of The Iron Fist and got ready to go out for the afternoon. Saturday evening I went to the movies to see The Big Sick – I’ll elaborate on this movie in a later post, but if you thought about going to see this…definitely do. It’s such a good movie, hilarious, heartfelt and entertaining – go see it! I had dinner at Longhorn Steakhouse and then ended up literally sleeping the rest of the evening on and off trying to get rid of a headache – not exactly riveting stuff, I know. Sunday afternoon…after church…I did something I haven’t done in ages; I took a Sunday afternoon nap! My Mom and I spent some time making homemade (and fairly healthy) peanut butter cups; my Mom is currently doing the Arbonne Thirty Day Cleanse and with Chocolate Protein Shake Mix, Almond Butter and Coconut Oil we made a pretty tasty little treat. We just combined 1/4 cup melted coconut oil with 2 scoops of Arbonne protein powder, layered the mixture into muffin tins and put in the freezer for five minutes, then topped the frozen chocolate with almond butter and more of the coconut oil and chocolate mixture. I have to say – they were seriously tasty – and I suppose they’re fairly healthy too! I whiled away the afternoon cleaning up my living room/bathroom/etc…poking around the neighborhood with Watson, reading and watching some TV. After dinner and a visit with some friends and their drone (which Watson was absolutely terrified of), I settled in for the second episode of season seven of Game of Thrones and then hit the sack! 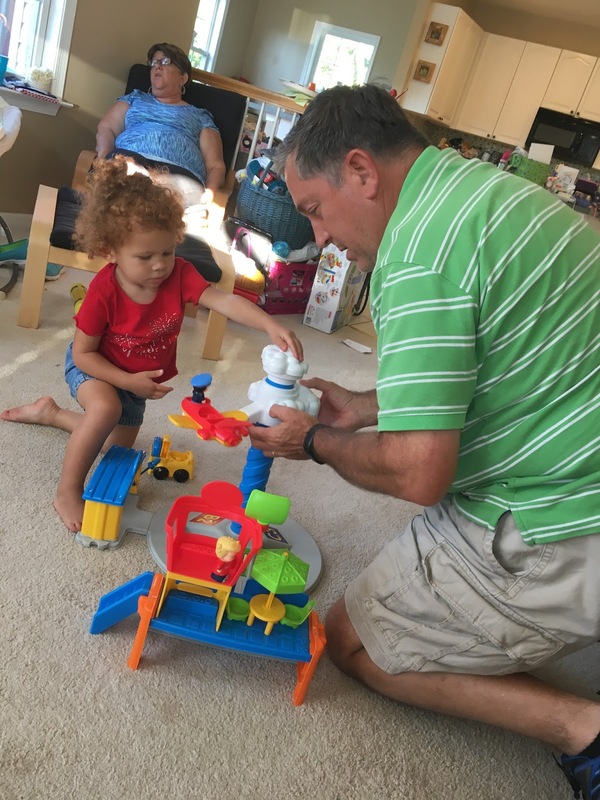 So – that’s it for this edition of the Weekend Recap and my reentry into this blog hosting portal! Until next time – thanks for stopping by! One. D23 Expo – Perhaps you are not; like me, a huge Disney nerd. If you are a Disney nerd, you know this past week was the D23 Expo and they released so much amazing information that even though our family is going to Disney in January…my sister and I are already discussing when we can go again to see all the new things! 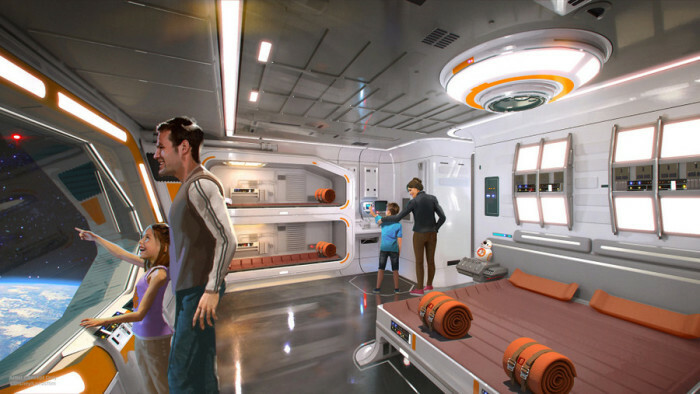 Sleeping in the middle of the Star Wars universe? Yes please! A restaurant at Mission Space? Yep! Toy Story Land? Yep! 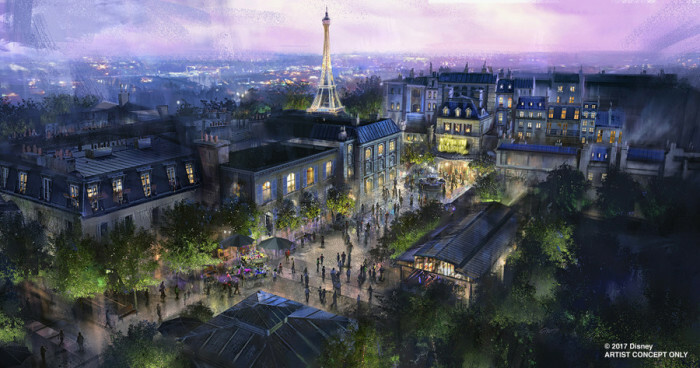 A Ratatouille ride at Epcot? Yes indeed! A Guardians of the Galaxy ride at Epcot? Oh yes! Not just a land wholely devoted to Star Wars but a resort wholely devoted to Star Wars? OMG – YES! My Disney nerd heart can’t take it… Maybe I should just pack up now and move to Orlando? Ratatouille fun around Paris? I’m in! Three. 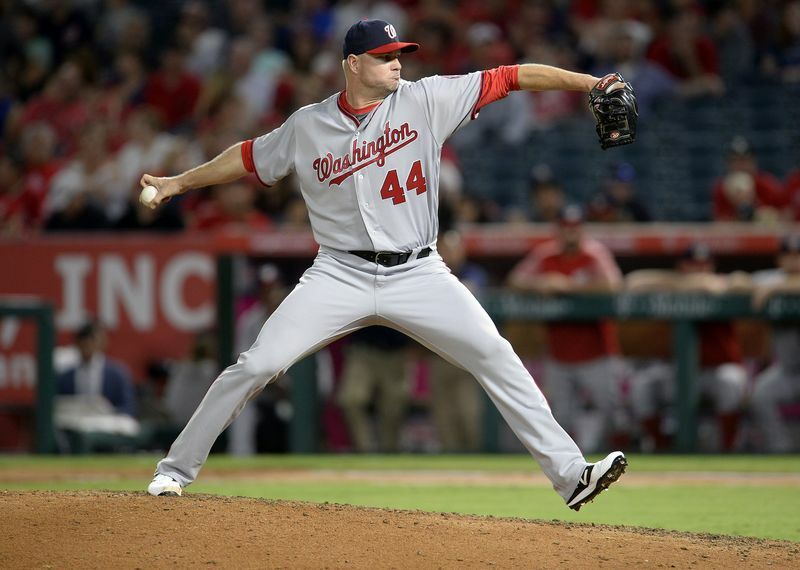 Nationals Baseball – We finally…finally traded for some bullpen help! Hallelujah! If I could do those little raised hands emojis here, I definitely would! 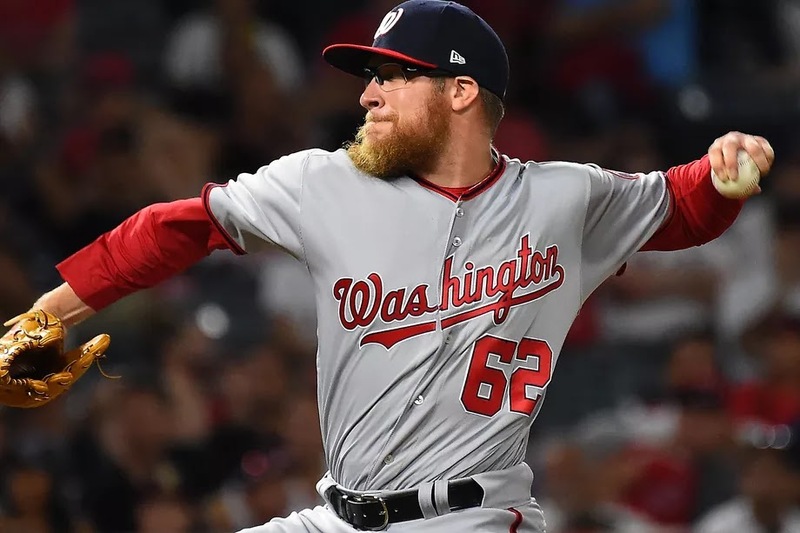 The week began with news that the Nationals had traded Blake Treinen and some prospects to the Athletics for relief pitchers Ryan Madson and Sean Doolittle. I’m not sure that it completely solves the bullpen issues but at least it’s a step in the right direction! The Nationals are spending the weekend in Arizona taking on the Diamondbacks before coming home to battle it out against the Brewers and the Rockies. I’ll be taking in one of the games in the Rockies series and since I haven’t been to the ballpark since July 4th – I cannot wait to be back at one of my favorite places! Four. Weekend Plan – I don’t have anything on the agenda this weekend; I’ve mentioned going to see The Big Sick with a friend but I’m waiting to see how that pans out. Otherwise, I’ll be sleeping in, sipping coffee, relaxing on the deck (if it’s not blazing hot…) and getting ready for another awesome episode of Game of Thrones! Five. About today – I think the meme below sums it up pretty well – so, I’m out! Happy Friday y’all! 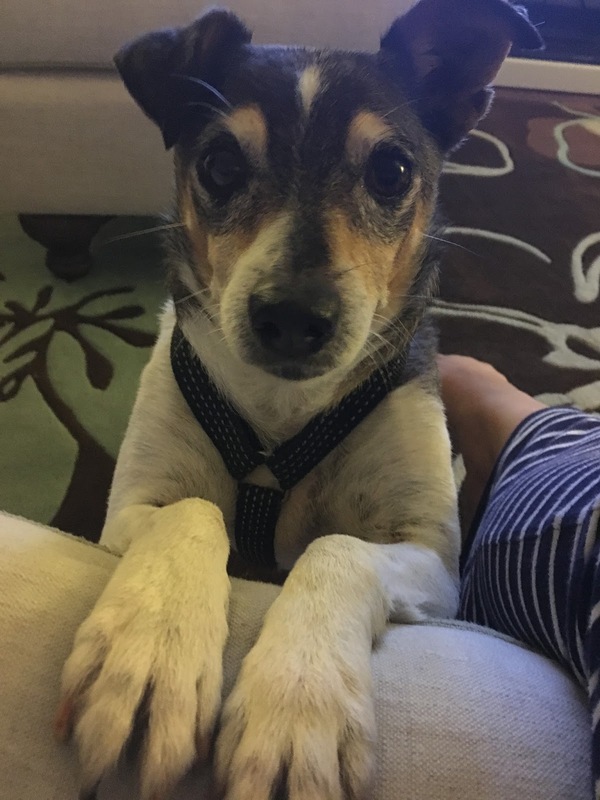 My sweet pup – surgery is no big thing for him – he bounced right back and has spent most of the first half of this week pestering me to let him be outside all the time…taking turns napping in all his favorite spots…and most importantly, begging for just one small bite please..one little bite of whatever anyone else is eating. Bonus – he now has a beautiful and shiny smile and no growth blocking his pearly white! That shiny smile makes begging for a bite to eat just a little bit easier! The past week and a half have been – as the title suggests – hectic; and that’s perhaps putting a bit mildly. Mind you, life outside the office hasn’t been so terribly stressful but work has been filled with full days, armfuls of folders and well…you get the idea. Monday was so completely all consuming that once the work day was done, I came home and did my exercise, had dinner, cleaned my bathroom (I lead a life of glamour – no doubt about it) and finally just chilled a little bit before falling into bed. 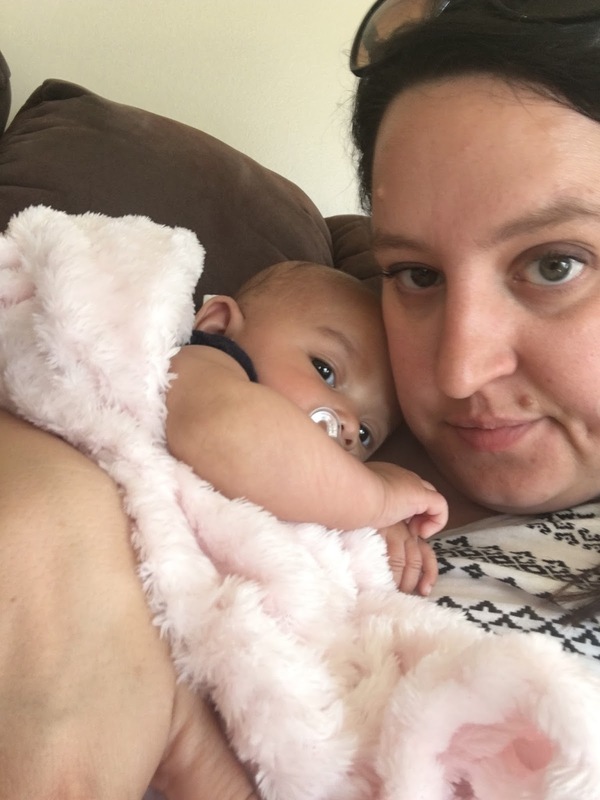 Blogging never even popped into my mind…oops! Getting a bath makes him SO disgruntled. Last week was busy and each day when I got home, all I cared to do was get my exercise done, have my dinner and really just read for a bit and do nothing. I think I need to see my way toward getting a laptop computer because after sitting at a desk all day during work, I find that I don’t want to sit behind a desk at home – and my computer at home – is on a desk! 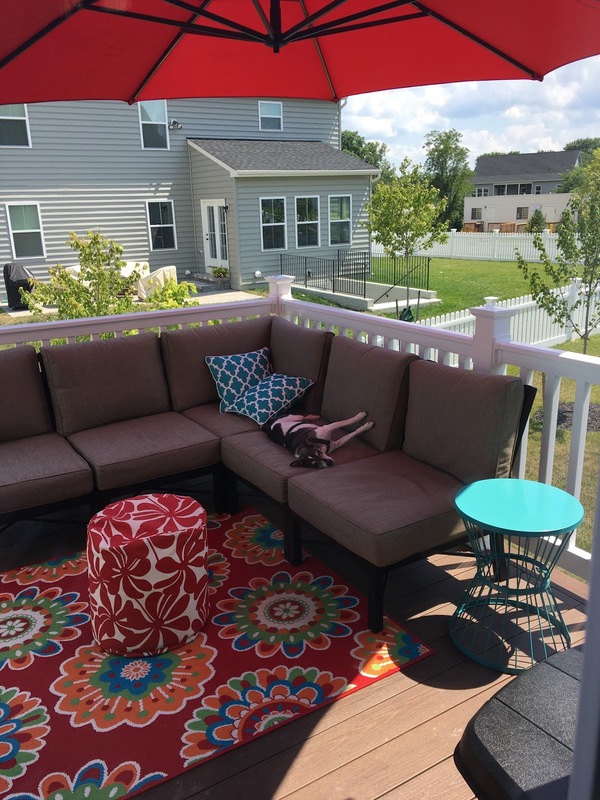 I think if I could relax on my couch with an episode of House Hunters or a Nationals game in the background, that would be ideal! Watson had his surgery last Friday and came through with flying colors! I’m not sure why I doubted he would but suffice it to say that I was in a bit of a panic for most of the day on Friday. 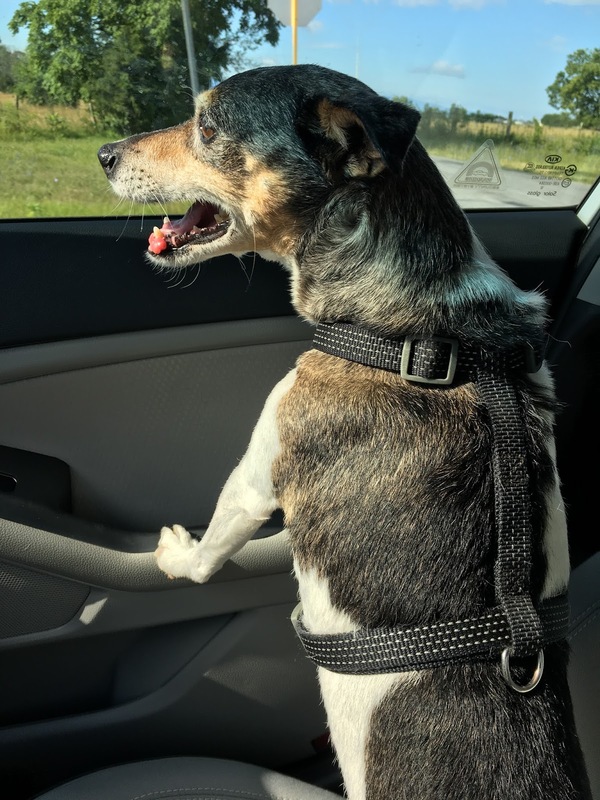 When I dropped the little guy off at the vet and left, he was absolutely not okay with it and fought to get to the door and escape behind me – talk about breaking your heart! Thankfully by about 10:45 the vet’s office had sent me a text message to let me know the surgery was done and he was groggy but recovering well – I was halfway through a forty-five minute workout and was able to finish the back half without feeling like I was going to be sick! I picked the little fellow up around 3:00 on Friday afternoon and also got three different medications for him as well! I left the vet with a pet pharmacy in my pocket and a little dog who kept groaning at me all the way home. *sigh* Thankfully I was able to give him some pain medicine once we were home, he finally settled down and by Saturday morning was back to his normal, rambunctious self! Saturday morning pedicure – yes please! Saturday morning (later in the morning) my Mom and I made out way to get pedicures and then after a quick bite at Panera Bread and a run through Fresh Market, we were off to our friends’ house in West Virginia to celebrate a third birthday. We spent a large chunk of the afternoon celebrating the birthday girl…I followed her through the backyard and watched her spin herself around in the swings, she told me all about their new camper, we jumped on the trampoline and in between all of that and having cake and ice cream, I also got in some snuggles with the smallest family member. Talking to Evie…Amelia is wondering why she’s not my focus, ha-ha! 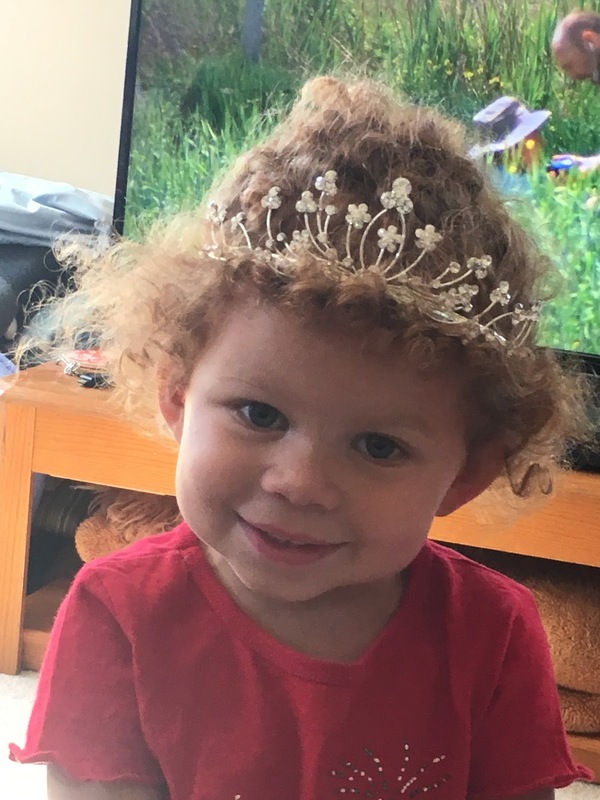 The birthday princess – so sweet. 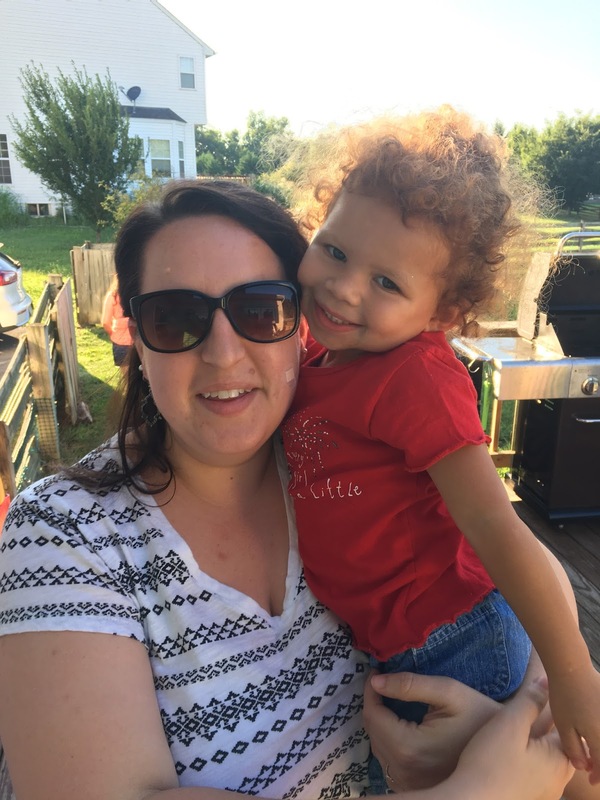 Given the birthday girl’s curly red hair and petite stature, she reminds everyone of Annie – so on Saturday afternoon, I asked her “Amelia – is it a hard knock life?” She looked at me for a minute and then said “No!” The spoiled rotten little sweetie is 100% correct! All smiles with the birthday girl! Sunday morning I really pushed myself on the elliptical because the promise of both brunch and supper at Olive Garden let me know I’d have to burn some serious calories in advance if I wanted to eat anything and everything delicious throughout the rest of the day! It paid off well – I joined my Mom for brunch at Regions 117 and every bite was absolutely divine! The croissant french toast with fresh strawberries and cream cheese was to die for and I ate every bite! Who knew my knee made such a nice pillow? After whiling away the afternoon on the deck, watching the Nationals beat the Reds 14-4 and shopping for the week’s groceries at Wal-Mart, we went and had that dinner at Olive Garden and while I managed to finish my day well under my calorie goal – I’ve decided that Olive Garden is the place that healthy eating goes to die. Ha-ha! 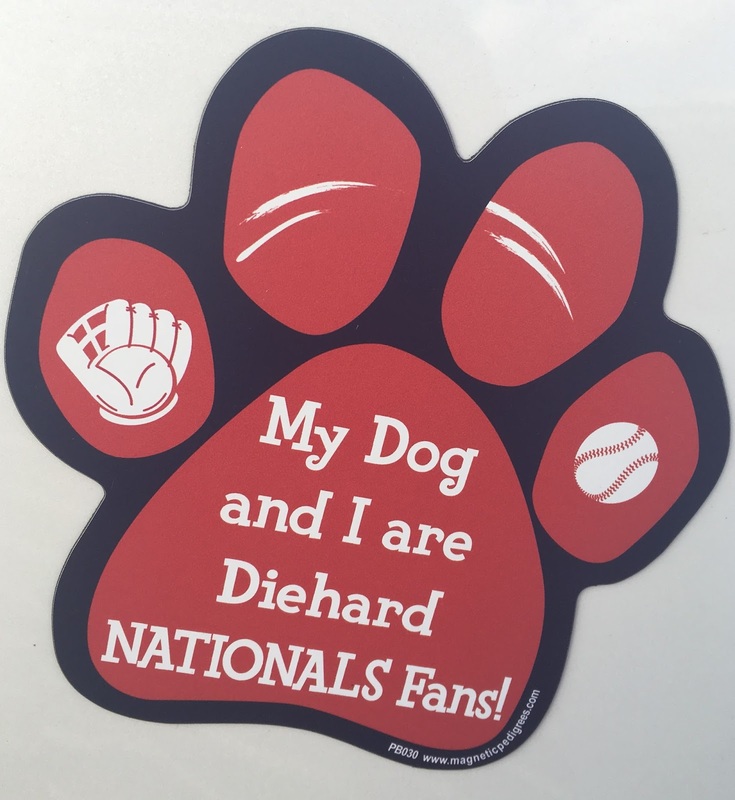 Once I was home again, I made sure to finally stick my new Nationals magnet to my car and did some reading to pass the time until Game of Thrones seventh season finally premiered. A great end to a lovely; if too quick, weekend! It’s so true – Watson’s favorite player is Jayson Werth. And here we are – already into Tuesday afternoon and I’m only able to finally get around to recapping the previous week! Whoosh! I told you – it’s been hectic. Here’s hoping it starts to slow down soon! 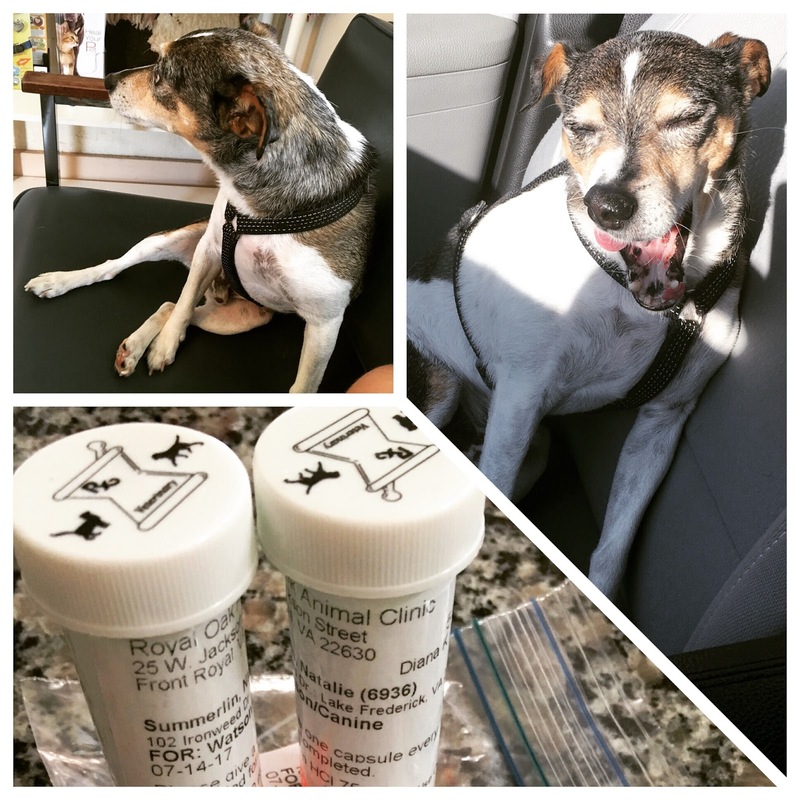 Watson’s Surgery – I’m off work today (yay!) because my sweet pup is having his surgery today (boo!). I’m lucky enough to work at a wonderful office and my boss was kind enough to let me take the day off to tend to my sweet pup and whatever he may need once his surgery is done. Ironically, my dog is having his surgery today, my co-worker’s dog is having surgery next week…and my other co-worker’s dog is having surgery in three weeks! All of the pet operations! Watson’s surgery should be pretty straight forward and easy. He’s having a small growth removed from his mouth (you can see it in the above picture) and they’ll also clean his teeth while he’s under anesthesia. A couple days of eating his food with some chicken broth to soften it and he’ll be feeling like a new pup with a brand new smile! 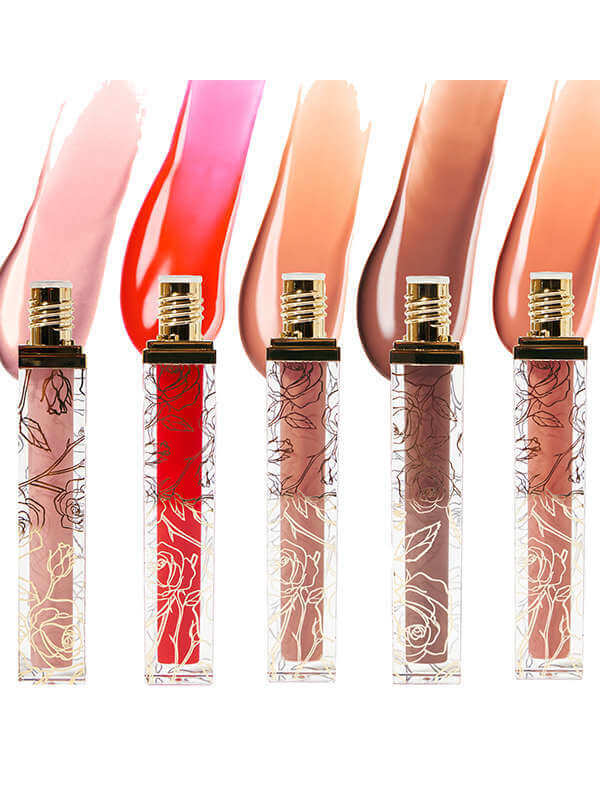 Lorac Beauty & the Beast Lip Gloss – I know…I mentioned these glosses a few weeks ago, but I have fallen in love with them! The color palette is varied and beautiful, the gloss goes on smooth and does not get sticky and moisturizes my lips really well too! This gloss certainly wasn’t made for extended wear, but I love having one (or two) in my purse to swipe on for a bit of color, shine and moisture! 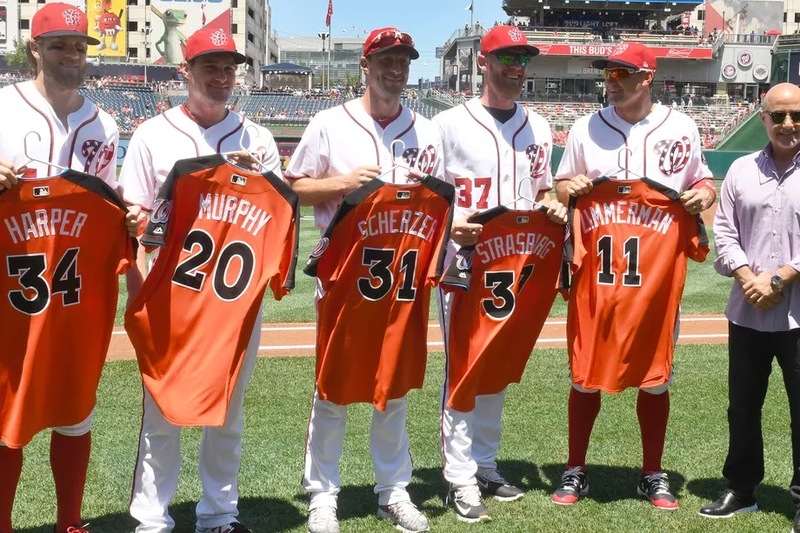 Nationals Baseball – It’s been All-Star Week and the Nationals had five players representing down in Miami this week during the officially unofficial halfway point of the season! Bryce Harper, Daniel Murphy, Max Scherzer, Stephen Strasburg and Ryan Zimmerman all took their curly W’s down to the beach to show off their skills and play some baseball at Marlin’s Park! Sadly, the National League team was bested by the American League team 2-1 in the tenth inning…but Max started the game for the National League and was pretty flawless and there was something pretty special about the entire right side of the field being Curly W’s! The second half of the season starts up tonight and that means that Nationals will in Cincinnati for the weekend taking on the Reds, before visiting the Los Angeles Angels and the Arizona Diamondbacks. A long road trip before they return to DC – here’s hoping for some wins! 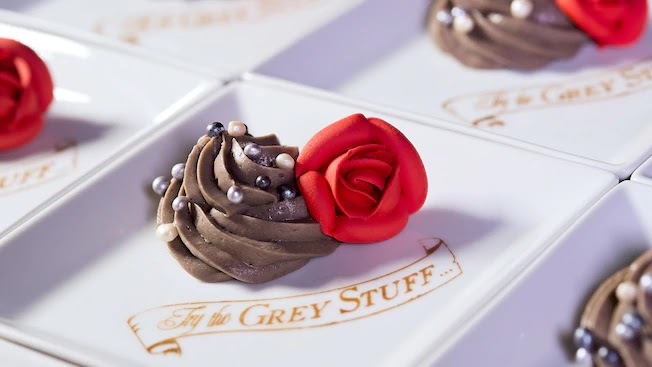 You better believe I’ll be trying the Grey Stuff! So – the title here is misleading because this week I’ve only got four point, not five! It’s been a wild week at work and today was pretty intense with all the worry about the pup… I should probably learn to chill out a little bit, ha-ha! Anywho, I’m off to enjoy my weekend and…well…chill out a little bit! 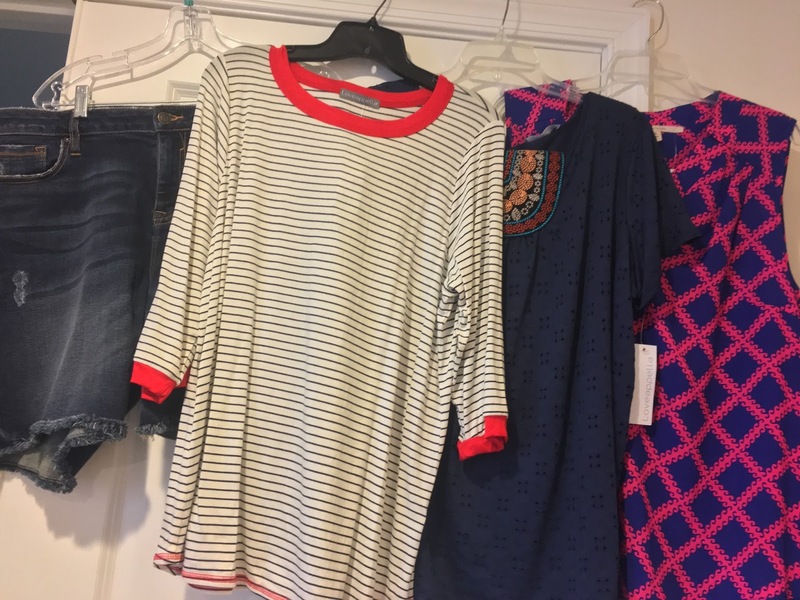 Stitch Fix – I’ve said it before, I’ll say it again – I do love getting a box from Stitch Fix in the mail! I’ve been dropping the ball on posting about my Fixes and I’ve really been dropping the ball on taking pictures of myself in the clothes. Oh well; I’ll have to try to do better on both accounts, but this is what I’ve got for this time around – pictures of clothes and descriptions! Solene Split Back Top ($44.00) – I sadly do not have a picture of this top; fail! It is the most gorgeous navy, coral and white paisley pattern, sleeveless with a split detail in the back. I loved the shirt but the fit was too snug across my chest (surprise…surprise…) and the arm holes were a bit too large. I kept it though – and it’s now in my Mom’s closet. Leland Embroidery Detail Knit Top ($44.00) – Navy blue eyelet with the cutest stitched motif across the neck; I love this top! The fit is great, it’s very airy for warm summer days and I love a good navy shirt! This one was a keeper! Terrence Distressed Frayed Hem Bermuda ($48.00) – Jean shorts that are cute and actually fit well? Yes please! I’d asked for a pair of shorts and my stylist really came through here – these shorts are cute, just the right amount of distressing and they fit really well! Of course they were a keeper! Aliana Contrast Trim Knit Top ($46.00) – This top is white with thing navy stripes and red contrast trim at the sleeves and neck. 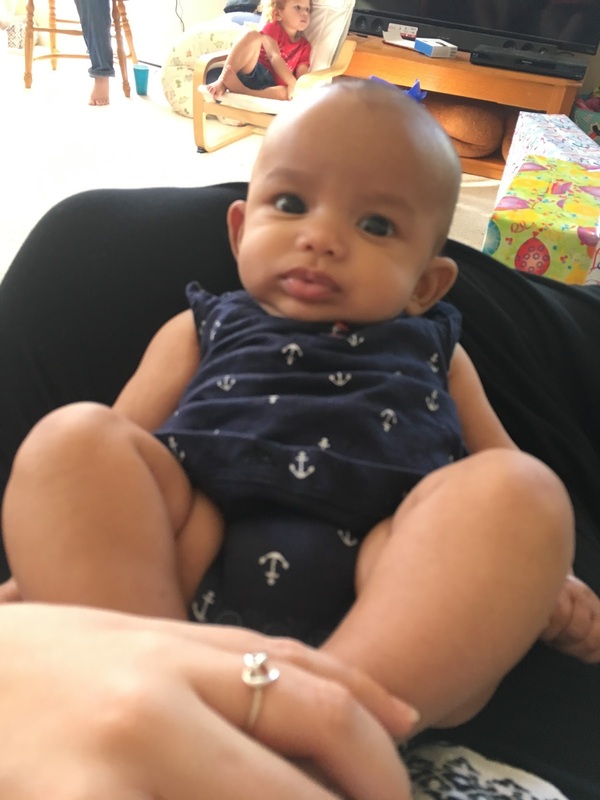 It’s lightweight and I love anything and everything that is slightly nautical, so this one was a real winner for me! Bonus points because it’s lightweight enough for summer wear and will make a great layering piece in the fall and winter! Another keeper! 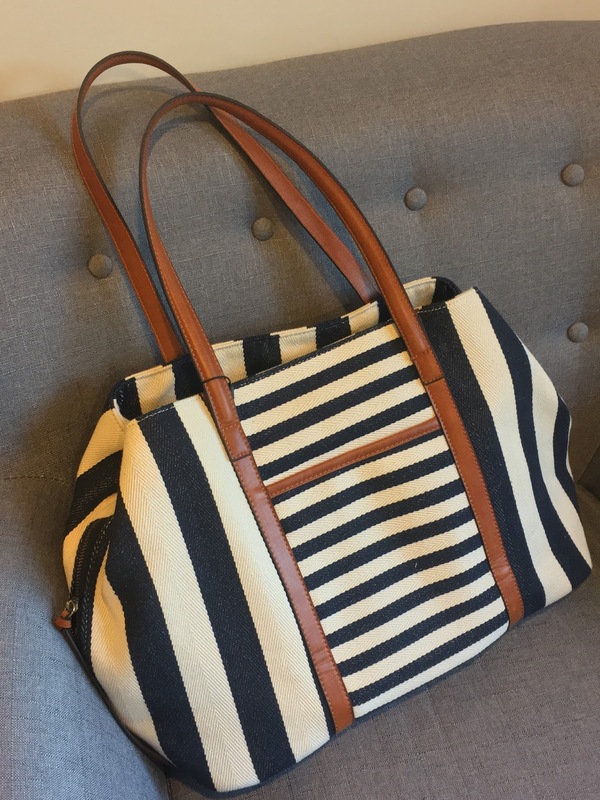 Anchorage Striped Canvas Tote ($64.00) – I didn’t ask for a bag but I fell in love with this bag from the minute I pulled it out of the box! Navy and white stripes with a tan leather detail on the front and handles; the bag is large and roomy, has multiple pockets and is well made. It’s easy to carry and I can see it being so functional for flying and just traveling in general – this was a big hit with me! Another keeper! The Milden Lace Detail Blouse & Aliana Contrast Trim Knit Top – both cute – only one was a keeper! So – Fix Eight wasn’t a complete win – but I did end up keeping everything because it was less expensive to do that! As with every Fix, you get your $20 styling fee off anything you decide to keep and if you choose to keep all five items, you will get 25% off as well! I also had a $30 credit from a Stitch Fix Gift Card (shout out to my Momma!) and so all five pieces actually ended up only being $139.00! I really think you can’t beat that! The Leland Embroidery Knit Detail Top & the Shalley Split Neck Blouse – both keepers! Finnegan Printed Cuffed Short ($58.00) – I really loved these shorts and the cute pattern…they fit well and were actually pretty comfortable; but I know my personal comfort level, and I honestly just didn’t know if I’d ever wear them. *sigh* So I sent them back! Shalley Split Neck Blouse ($48.00) – This blouse…oh my goodness. The colors absolutely pop off this top; hot pink and navy, two colors that you can never go wrong with! I love how flowy this top is; it will pair well with dress clothes or can be dressed down…and a part of me really wants some white jeans to rock with it! I fell in love with this piece as soon as I pulled it out of the package and so of course, it was a keeper! Milden Lace Detail Blouse ($44.00) – A gorgeous shirt; so beautiful and with such intricate lace detailing, it was gorgeous and fit just perfectly. 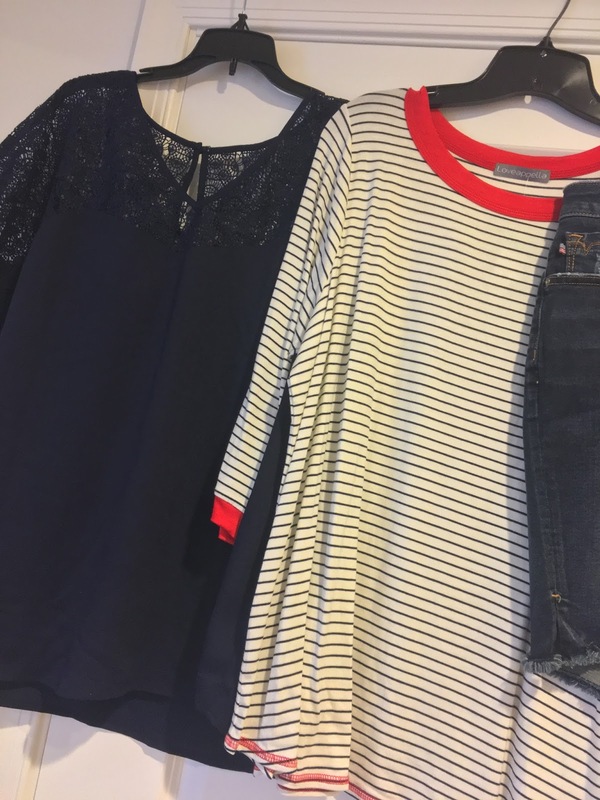 However, I felt like it was really too similar to the navy shirt I received in my eighth fix and I just don’t think I need two shirts that are SO alike! So I sent this back as well! Lillie Cuffed Denim Short ($58.00) – Another pair of shorts…and what’s more, another pair of shorts that fit! These shorts were adorable and fit well but yet again I was coming up with the same thought: I got a pair of shorts almost just like these in fix number eight and I just don’t think I’ll get the wear out of two pair of jean shorts! So…say it with me now…I sent these back! Bessie Knit Maxi Dress ($58.00) – This dress is almost impossible to see in the picture above; oops! It was made from a gray and white striped jersey material and it just did absolutely nothing for me. It fit but it definitely did not flatter! It clung to all the wrong things, accentuated the parts that no woman wants to accentuate and yep – this went back in the mailing envelope pretty much immediately! The Finnegan Printed Cuffed Short & Lillie Cuffed Denim Short – they both went back! Fix Nine was almost a complete bust – I guess you win some and you lose some, right? 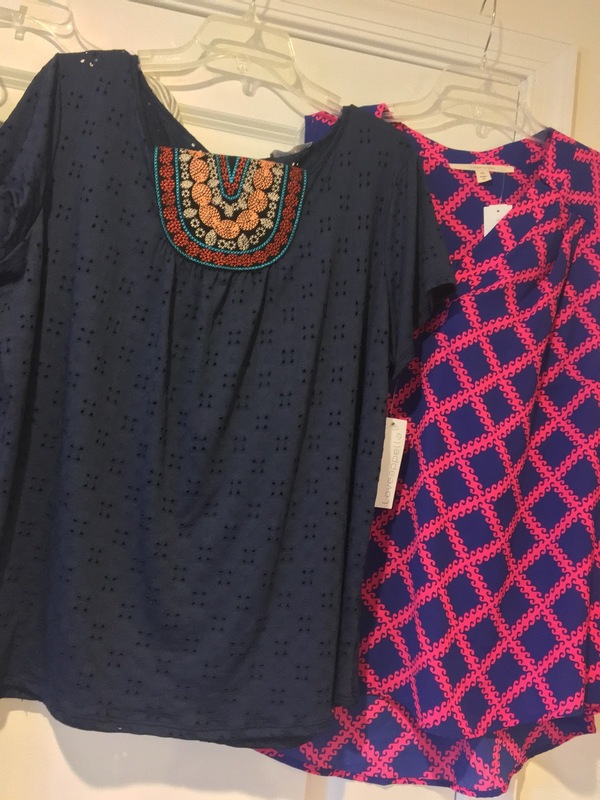 The only item I kept was the Shalley Split Neck Blouse because I just could not pass up that gorgeous bright blue and pink! I obviously didn’t get the 25% off, but I did get the $20 styling fee toward my purchase, so I got the top for $28.00! Not bad at all! All the goodies I kept! Obviously with any service like Stitch Fix, there is always a gamble – you are letting someone you’ve never met choose clothes for you based on your online profile. However, my experience as a whole has always been great and that’s why I keep scheduling the next Fix. There is just something so fun about arriving home to find that cute teal and white box sitting on the porch and wondering what might be inside! 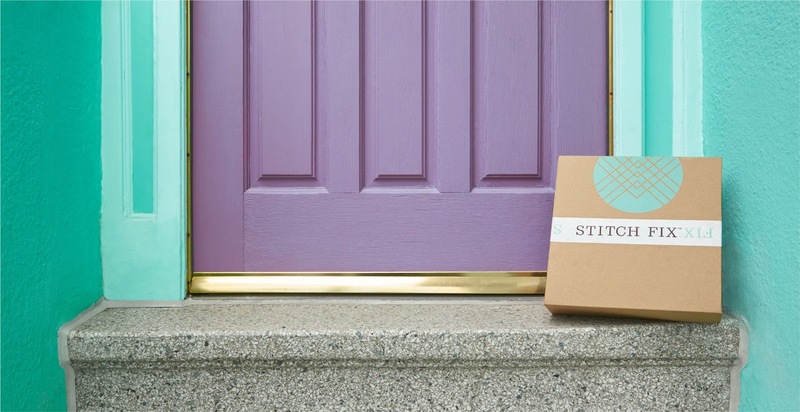 I think everyone should try Stitch Fix at least once and if you have never given it a try and would like to, please feel free to use my link, which I’ve shared below – knowing that I will get a bit of credit if you sign up for your first fix through my link! I think any lady can appreciate that, right? 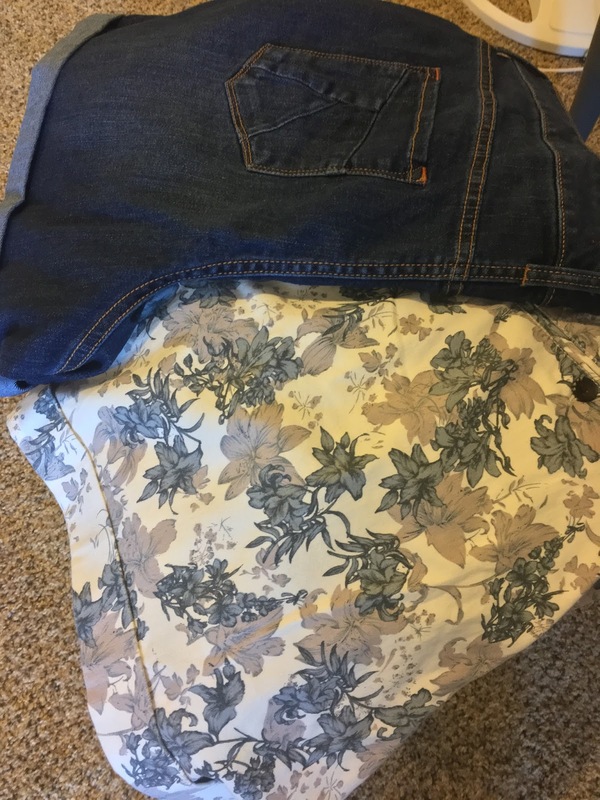 Also – Stitch Fix isn’t just for the ladies – they have also started Stitch Fix for Men! If you have a man in your life that hates to shop, this would be the perfect chance to get five potential wardrobe pieces without having to set foot outside of your house (I mean…you may have to step out on the porch to get the box…). What can I say? 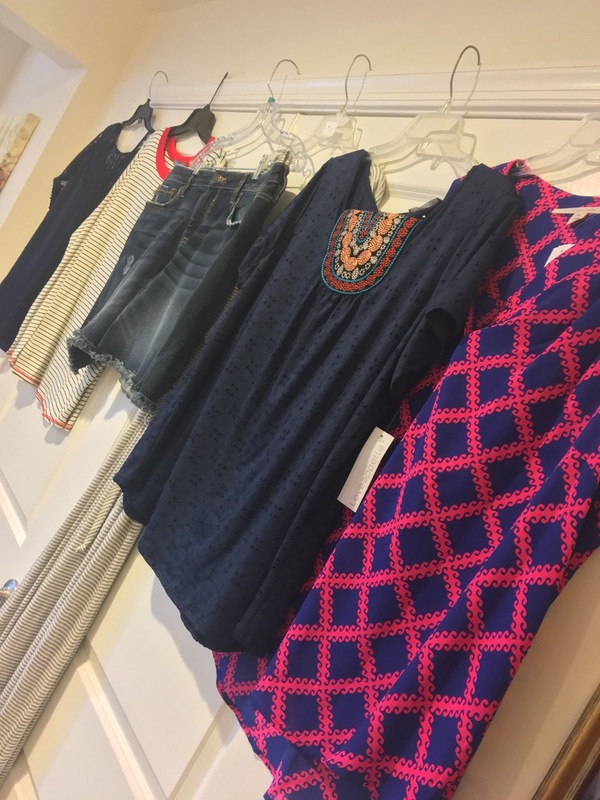 I love Stitch Fix and I bet if you gave it a try, you would too!